The human body is an amazingly complex and wondrous machine. Now, through the Visual Guides Human Body, you can explore and understand how the body works as never before. The Visual Guides Human Body makes the human body come alive with numerous high-quality videos that show many of the fascinating structures and processes in motion. Through an abundance of colorful charts, descriptive diagrams, detailed cut-a-ways, dramatic x-rays and fascinating electron microscope images, you'll gain a new understanding and appreciation for the human body. 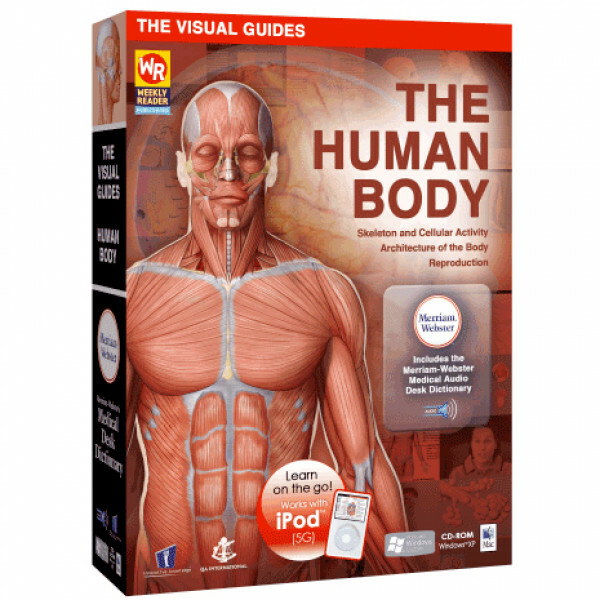 Whether you are a student, teacher, or simply interested in human biology, you will find the Visual Guides Human Body an incredibly fascinating educational experience. - Windows Vista and XP are trademarks of the Microsoft Corp.